To effectively operate a publication for the community, it's critical to have a strong relationship between journalists and their audience. This starts with understanding and defining a detailed profile of our readers, viewers or listeners, and then interpreting this information in meaningful ways. Because when a publication is one with the community it serves, the core of what we do — our stories, branding, advertisement sales, distribution and social media use — becomes a sort of conversation between publishers and consumers. A conversation that allows us journalists to hold a meaningful and prominent role in our communities. 876 student population: We offer one copy to each student enrolled. 169 faculty, staff: We provide one copy for each faculty and staff member, should they desire a copy. 2540 copies: The Advancement Office requests we print copies to send to selected alumni all across the country and internationally. As of last mailing, 2540 copies were mailed out to alumni. This office pays for the additional printing charges and all postage and overseas shipping. 60 exchange papers: We have long-standing relationships with between 50 and 60 schools with whom we exchange publications. 55 copies: Copies are sent to all Board of Trustees members at the request of the headmaster. 100 copies: We reserve copies for archival purposes and use throughout the year, and at year’s end, we have 20-25 copies permanently bound for historical purposes. I’m very proud that the work of our writers and I extend way beyond the boundaries of our school campus. Knowing that our work is going to be viewed by alums in Greece, students in California, or an 18-year Board of Trustees veteran punctuates the need for telling our stories with integrity, accuracy and sensitivity. When the newspaper arrives from the printer, we package over 100 newspapers to be sent to Board of Trustees members and for exchange purposes. Additionally, even though we are prohibited from having an online publication, we do put each newspaper online in PDF form on the school website. Click here to view how anyone can access the most recent edition of The ReMarker. Because of our increased focus on social media in the last two years, we now have more data and analysis than ever. Using Facebook insight tools, we are able to compile relevant statistics showing how our audience engages with our social media page. In the gallery below, you'll see some of the data I've compiled that reveals our audience and its experience. However, beyond the importance of this data is how we subsequently put it to use. 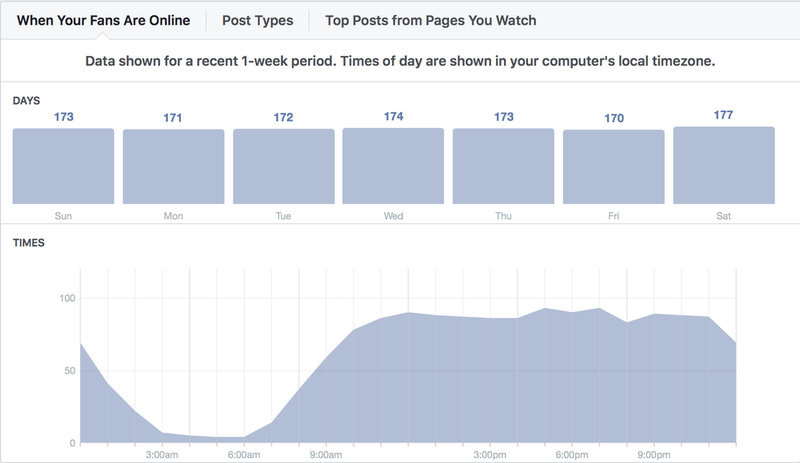 In fact, many of the graphs below now define our operation on Facebook and other online platforms. Click on the images below to read about how I implemented the data in an engagement strategy on social media. During our redesign period over the summer, I knew I wanted to change the design identity and overall feel of the newspaper. Every year, it's the new editor's job to provide a uniquely cohesive design that offers a distinct and fresh look from the previous years of The ReMarker. Unique to this 64th volume of The ReMarker, we implemented a new square-based logo shown on the cover below. Because good branding requires consistency, the square design is repeated on the interior pages and the compact, geometric theme can be seen throughout the paper. The goal in this meticulous branding is to ensure that whenever someone picks up a copy of our newspaper, everything from the look, feel and typography of the paper would immediately be recognizable as a copy of The ReMarker. Below, you'll see how we redesigned the newspaper in a comprehensive and distinctive way. The cover (left), news upfront (center) and interior page (right) all share consistent design elements such as the geometric squares, boxed-in label heads and left-aligned headlines. With a detailed grasp of our circulation breakdown and audience reach, we are able to communicate this information to potential advertisers. In the picture to the right, you'll notice our circulation breakdown is listed first. We chose to do this because just as audience profiles are important to journalists, this information is also very important to advertisers who hope to communicate with customers. This year, we have exceeded fundraising and sales for our publication with an average of ten advertisements — including business cards, banners and half pages — each issue. I owe this success not only to the great work of our business management team, but also to our ability to let advertisers share in conversations with our audience. Click on the image above to view the PDF we send to advertisers interested in investing in our publication. This is an example of the type of information we give advertisers. You'll notice in the second paragraph we specifically mention who our audience is and why this advertiser should be interested in that audience.